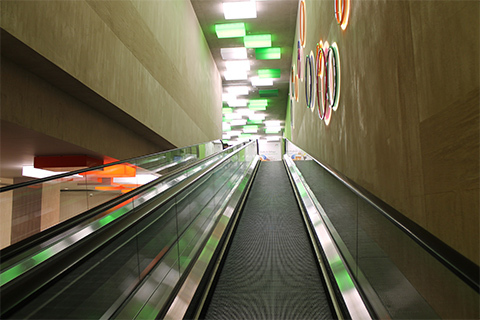 Our moving walkways are produced with state of the art technologies to allow people move swiftly and comfortably in crowded areas like public transportation stations, sports complexes and commercial buildings. Their stylish, elegant and modern designs offer aesthetics. Energy saving, easy repair and maintenance qualities present crucial advantages to project owners. Saves labor, time and energy. Hyundai walkways carry indoor circulation quality to the top with fast, comfortable and safe riding experience. Our silent and comfortable walkways used in international airports, subways, large scale sports complexes and bus terminals contribute to the economy by providing energy efficiency.